This is the future spot were NC alumni entrepreneurs who are "taking off" will be featured. 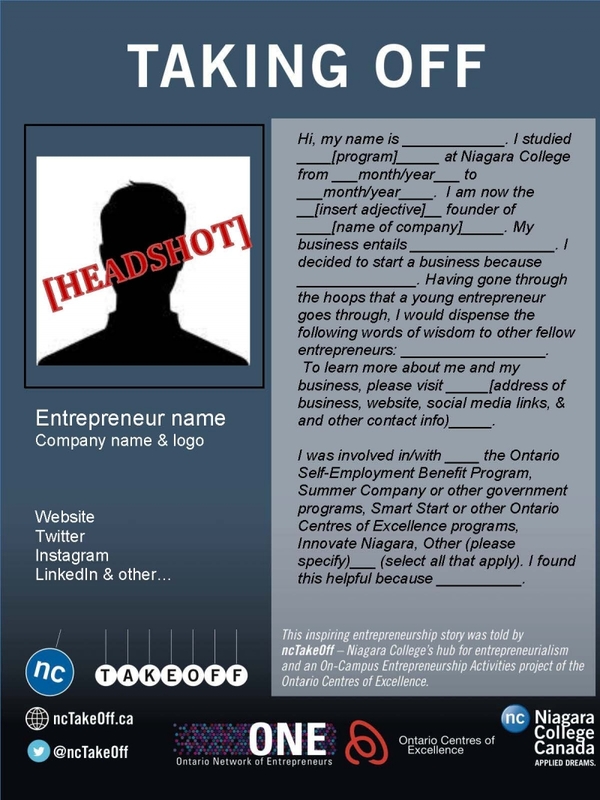 Want to recommend a notable entrepreneur to be profiled? Email rcrane@niagaracollege.ca with their name and contact info.